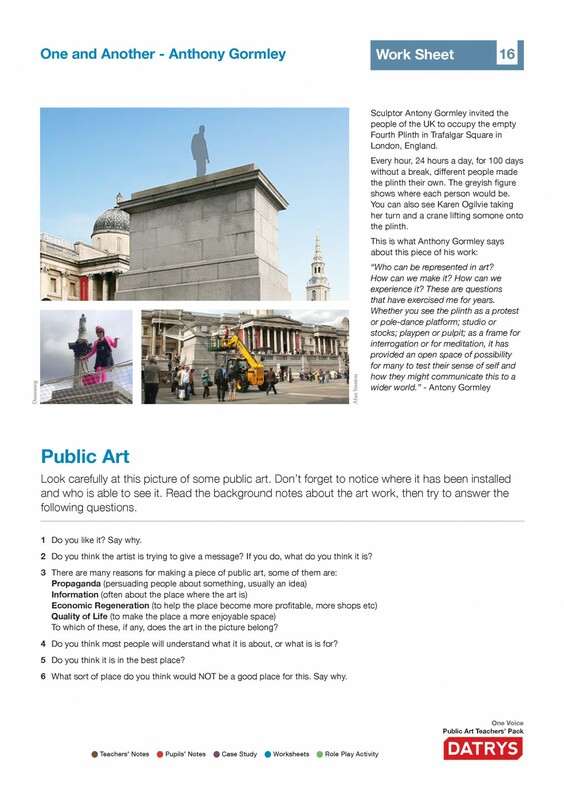 An educational guide to public art commissioning in general, using Brian Fell’s One Voice project as a reference point. The pack contains material for a wide range of abilities, and teachers will need to decide which of the material best suits their need, and how to use or adapt it. 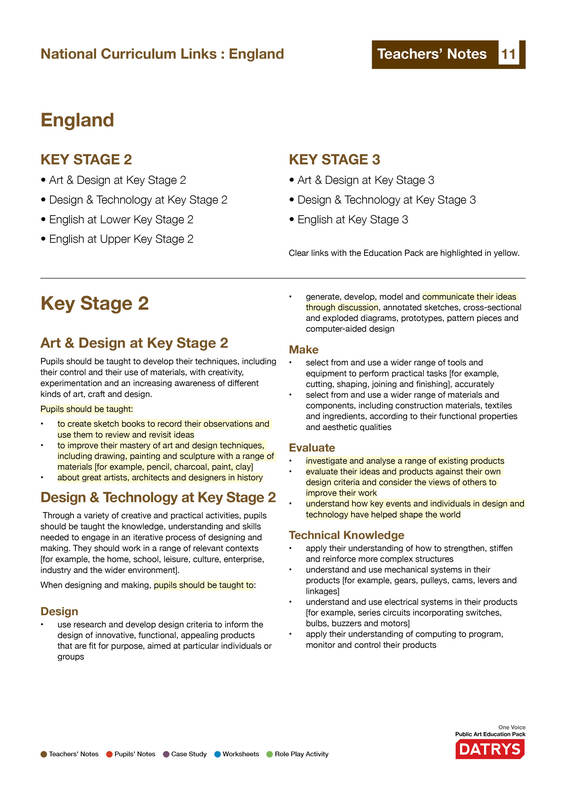 Clear links are provided to the UK National Curricula at Key Stages 2 & 3, and First & Second Curriculum Levels. Download and use for free under a Creative Commons License (see pack for details). Please review it – your feedback will help improve this pack for everyone. 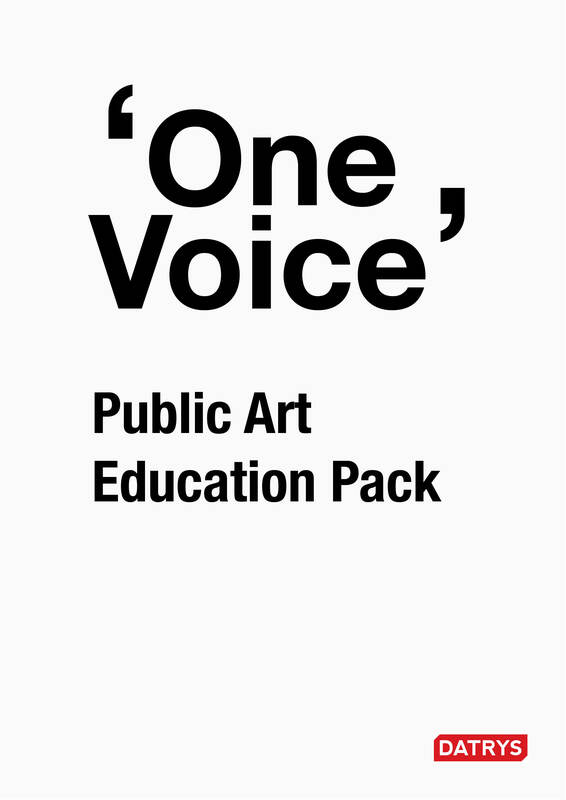 One Voice Public Art Teachers’ Pack by Datrys is licensed under a Creative Commons Attribution-NonCommercial- NoDerivs 3.0 Unported License. 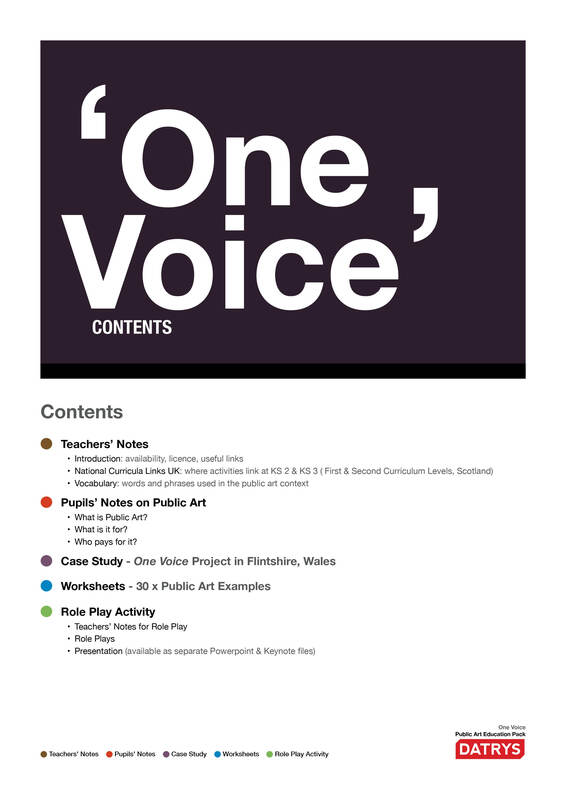 Thanks to: • Gwenno Eleri Jones, Arts, Culture and Events Manager Flintshire County Council who led the One Voice project; • the committee responsible for its delivery including Councillor T. Cattermoul, Councillor C. Bithell, Ms. Nia Wyn Jones, Mr. N. Cockerton, Councillor Carol, Councillor R. Dodd, Mr. Glyn P. Jones, Mr. L. Rawsthorne; • Paul Batho of St.Modwen the development company whose generosity funded One Voice; • Datrys, the project managers of the One Voice commission. 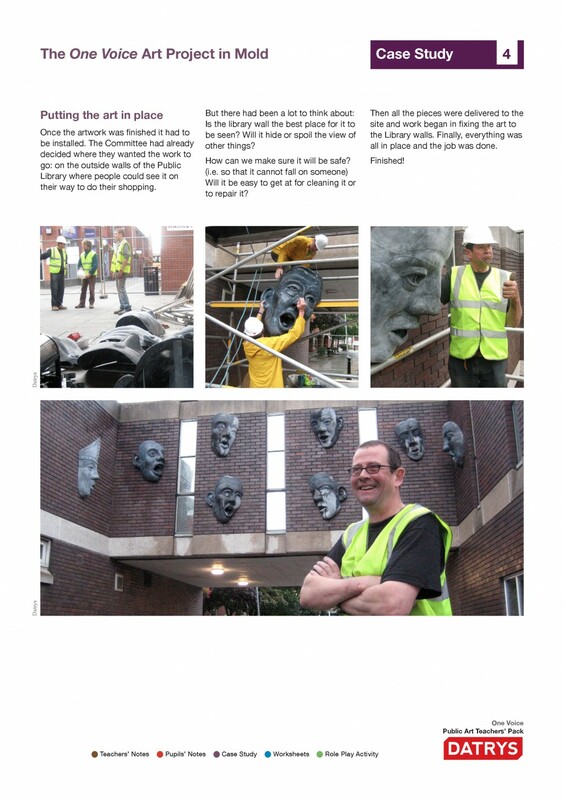 Useful pack on public art and small-scale commissioning. 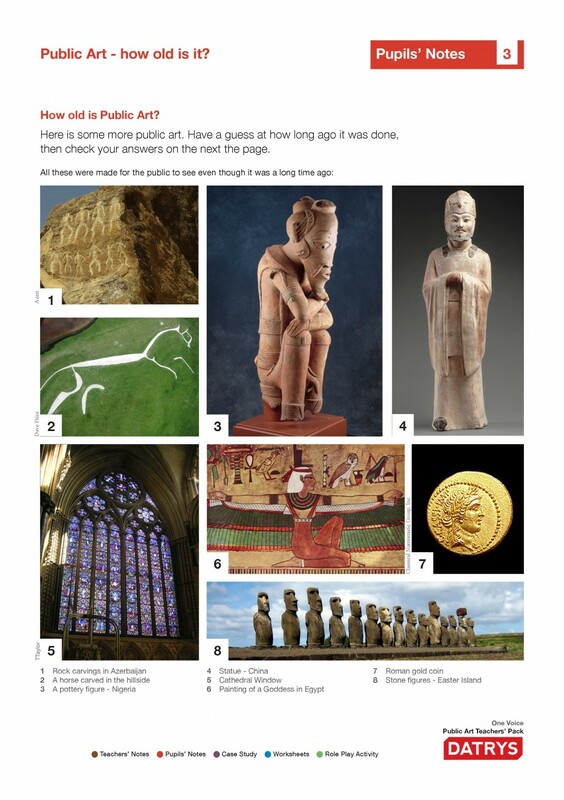 The National Curriculum links are now a bit out of date but that doesn’t really matter. 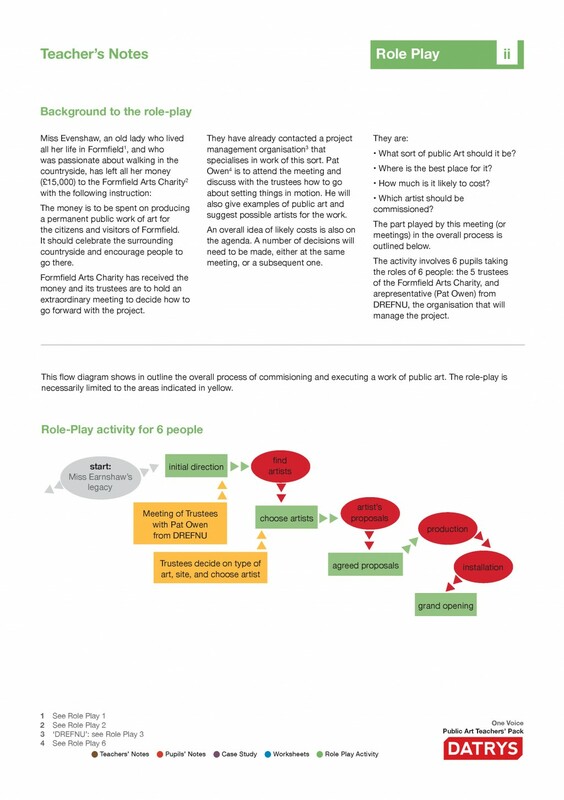 Theres a slide presentation to go with the role play which is a separate file so easy to miss.